The OBOR, or “One Belt, One Road” (now known as Belt and Road Initiative, BRI) is an initiative launched by the Chinese government in 2013 to strengthen trade between China and Europe and sustain the development of Central and Southern Asia. The main focus of the Chinese project is to develop infrastructure on the Eurasian continent, particularly in the areas of ​​transportation and energy, and thus revive the ancient Silk Roads. The creation of this new road requires not only very heavy investment, but also a simplification of the trading procedures between the countries along the new Silk Road. The BRI aims to revive the ancient Silk Road and promote trade between China and Europe. Throughout its history, the Silk Road has enabled the development of trade between Europe and Asia. Thanks to this network, many innovations spread from China, including silk of course, but also paper money and gunpowder. Along this road, new ideas and new conceptions of the world were exchanged. The spread of the great religions of Buddhism, Islam, Christianity, Judaism and Manichaeism followed the Silk route. – Middle East and Turkey. The “One Belt” mainly includes the construction of new railway lines connecting China and Europe in order to increase freight transportation between the two regions, and also pipelines and fibre-optic communication networks. The second network (“One Road”) is also known as the “21st century maritime silk road”, and connects the main Chinese and European ports via Southeast Asia, the Indian subcontinent, the Arabian Peninsula and East Africa. It will strengthen the economic integration of the states bordering the Indian Ocean and the China Sea. The OBOR illustrates China’s desire to assert itself on the international stage and to remain the world’s foremost commercial power. In recent years, Beijing has been trying to increase its influence on its neighbours, especially in Central Asia (for example, through the Shanghai Cooperation Organization, set up in 2001) not only to ensure their stability but also to create new development opportunities. In conjunction with the OBOR project, China has launched a new international financial institution, the Asian Infrastructure Investment Bank. Established in 2016, the AIIB will fund the upgrading of infrastructure in the Asia-Pacific region. Some portions of the OBOR may thus be supported by both the AIIB and the “Silk Road Fund”, a Chinese sovereign wealth fund. Although the OBOR is a Chinese initiative, this project is open to the entire international community, including the European Union, which can become a major contributor to this programme. The European Union should take more interest in the OBOR project in order to seize every opportunity that this project offers. The OBOR may be an opportunity to reactivate the European integration project. After the Greek crisis, the Brexit referendum, and the rise of Eurosceptic political parties, it is time for the European Union to reclaim its destiny and weigh in on the international scene. For the OBOR initiative to be successful, China needs a more united Europe which can take an active part in this project. 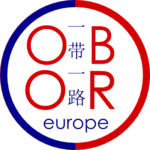 Participation in the OBOR is an opportunity for European Union members to better coordinate their foreign policies, especially towards China, one of Europe’s main trading partners. Through actively participating in OBOR, the European Union would show China that it is still a major power to be reckoned with. The European Union would then be more than just a destination for Chinese products and investments: it would become a political and commercial partner capable of developing a long-term strategy. By engaging closely with China on the OBOR project, the European Union could defend its interests more effectively not only in China, but also throughout the whole of Asia. The OBOR project would promote the development of Central Asia and the Middle East, two regions suffering from instability. The OBOR will open up Central Asia and thus create new perspectives for all states in this region. It would be naive to think that the OBOR would solve every issue facing Central Asia and the Middle East or that it would put an end to their economic and political problems. Nevertheless, new development opportunities in these two regions could reduce some migratory flows to Europe and thus contribute in some way to European security. For its part, the European Union can contribute a great deal to the OBOR project. The infrastructure planned for OBOR would only tackle poverty effectively if accompanied by good governance practices. The European Union has the necessary experience to assist in the economic transition of the Central Asian states involved in the BRI and develop projects that will support businesses, governments and local populations. Finally, the OBOR project is also a chance to promote greener economic development in Central Asia, a region that has experienced several environmental crises in the past. It is in the interests of both Europe and China that other regions of Asia adopt more environmentally-friendly development policies. Failing to become involved in the Chinese OBOR project would be a glaring admission of weakness for the European Union. In order to continue to have influence on the international scene, members of the European Union must coordinate their policies on the BRI objective and join forces with China to revive the Silk Roads and to make the OBOR a success.